Following my adolescence being spent enthralled by repeated watching of Arthur C. Clarke’s Mysterious World in the 1980s, avidly reading classic M.R. James ghost stories, and being an excitable teenager watching Ghostbusters, I had turned an enthusiastic interest in the paranormal into an academic pursuit in the USA and begun an undergraduate psychology thesis exploring all manner of paranormal experiences and beliefs. As I was starting my final year at a US university in 1993, a television series began that mirrored both my boyhood paranormal fascination and my enduring scientific scepticism. 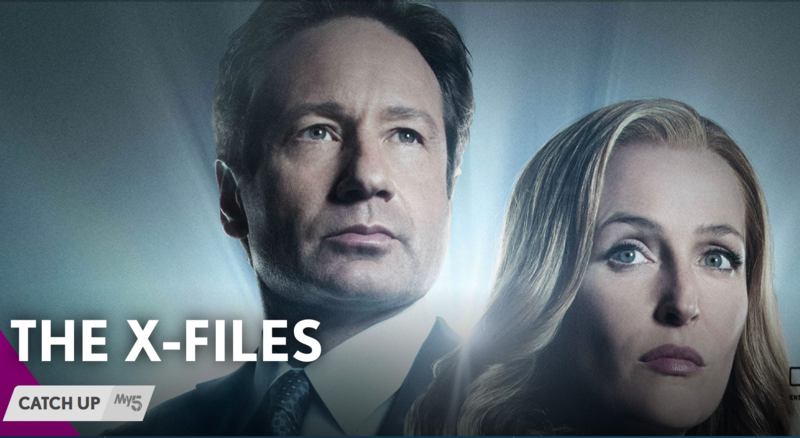 The X-Files presented us with two FBI agents, Fox ‘Spooky’ Mulder and Dr Dana Scully. Mulder actively pursued relatively uncritical investigations of all manner of supernatural cases from alien abduction and UFOs to voodoo, vampires and the Bermuda Triangle. Dr Scully accompanied him, providing a rational perspective, a sceptical antidote which was pushed to its limit as they uncovered a government conspiracy to hide, and cooperate with, the existence of extraterrestrials on Earth (what fans called the ‘mytharc’). Over the course of the TV series and two major films, The X-Files achieved a worldwide mass cult audience, concluding in 2002 after nine series. Aside from taking great glee in earning the nickname ‘Spooky’ in the mid-1990s whilst conducting research in an investigative psychology unit, and later meeting and working with Jane Goldman (the author of my dog-eared copy of the two-volume set, X-Files Book of the Unexplained), there has been little in the paranormal world to match the youthful excitement I felt when I first watched The X-Files over a decade ago. In March 2015, that excitement returned as the show’s original creator, Chris Carter, confirmed that Fox (the US TV channel) would be airing a mini-series consisting of six episodes. The wait was excruciating but on 13 February the first episode was shown on Channel 5 in the UK. As I sat down to watch it, I hoped it would continue the same opposing battles between the two main protagonists. The opening credits took me right back to 1993, placing Mulder and Scully in 2016 but throwing us back into the old X-Files ‘mytharc’. The engimatic protagonists still enthralled with their contrary investigative perspectives and resulting tense relationship (partly due to a history involving having a child together who turns out to be a telekinetic alien mutation: seriously). But my initial concerns for a series swamped with UFOs and alien abductions were partly realised, although an animated diatribe towards the end of the episode revealed that all alien abductions since Roswell were actually a smokescreen created to hide a conspiracy involving a ‘multinational group of elites that will cold kill and subjugate’ using recovered alien technology! There was a crumb of comfort, though, at the end of an opening episode that would stretch the most Google-addicted conspiracy theorist. Dr Scully stood up and uttered a response to Mulder worthy of repeating in any social setting where you are confronted with your own version of Tim Minchin’s ‘Storm’. She cuts through all the post-9/11 internet-fuelled conspiracies by describing it as ‘fear mongering claptrap techno isolationist paranoia’. On hearing this delightful sceptical retort, I smiled and knew that regardless of its initial weaknesses my X-Files addiction would be well served, at least for the remaining five episodes. - Reviewed by Dr Ciarán O’Keeffe who is Academic Head of Department at Buckinghamshire New University.